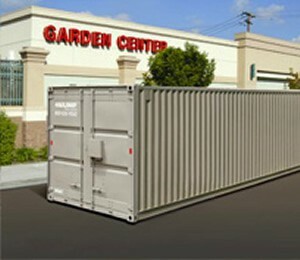 If you’re looking for shipping container rental in Bremerton WA that promises admirable service to our customers above all else, check out what Haulaway Storage has to offer to your restoration project, retail stocking options, and even long-term storage of heavy-duty equipment and machinery. We’ve been building our trusted name as reliable portable storage since our opening in 1968, when we became the first company to offer storage containers to the construction industry. Our service is fast and secure and comes at more than reasonable rates. Within only a day of contacting us, you could have your ideal storage container in place at your location of choice and ready for use. We have a variety of size options, but all are constructed from 14-gauge steel, with hardwood floors and sealed to wind-and-water-proof perfection. Each also comes equipped with our patented Rhino Locking System, designed so we can assure every customer that their shipping container rental in Bremerton WA will keep their goods and materials secure. There are so many reasons to rent a mobile storage unit, for either short-term or long-term use. Our containers are perfectly suited to hold materials for any personal restoration or industrial construction project. With a door at each end for access and ventilation, the unit can even double as an on-site tool shed or small sheltered workroom. We also hire out to many government departments, from waste management to parks and recreation, for reliable storage of heavy duty equipment. With a quality storage container from us you can store school playground equipment during the winter months, or keep a backup inventory of goods at your retail store so nothing’s ever out of stock. If, for any of these reasons or more, you’re looking for shipping container rental Bremerton WA residents know and trust to be the best, get in touch with Haulaway Storage online or by phone for a free price quote and advice on how we can best cater to your personal needs.